With Easter around the corner, I wanted to do a recipe that would celebrate Easter and eggs. 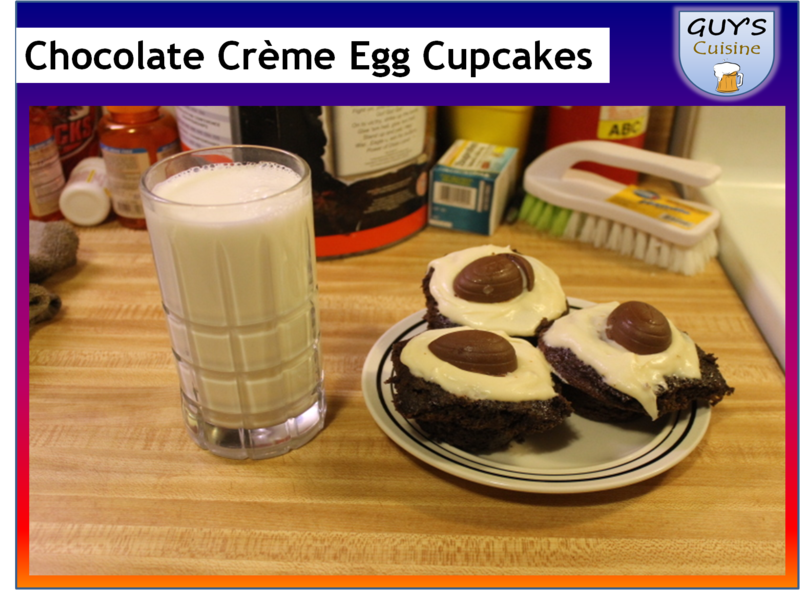 And who does not love those Cadbury Creme Eggs! I made something that would satisfy any sweet tooth, here’s what you need. 1. Preheat oven to 350 degrees. 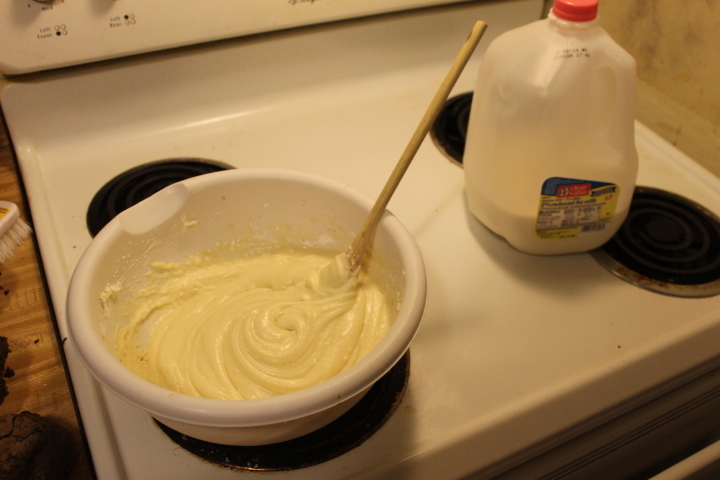 Cream sugar, eggs, vanilla extract, milk, and butter. 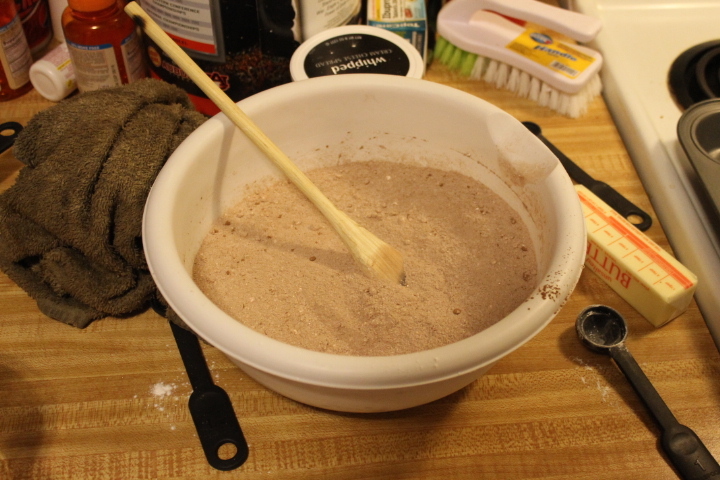 Combine flour, baking soda, baking powder, salt, and cocoa powder in another bowl. Then combine all ingredients together in one bowl and mix well! 2. After mixing ingredients well. 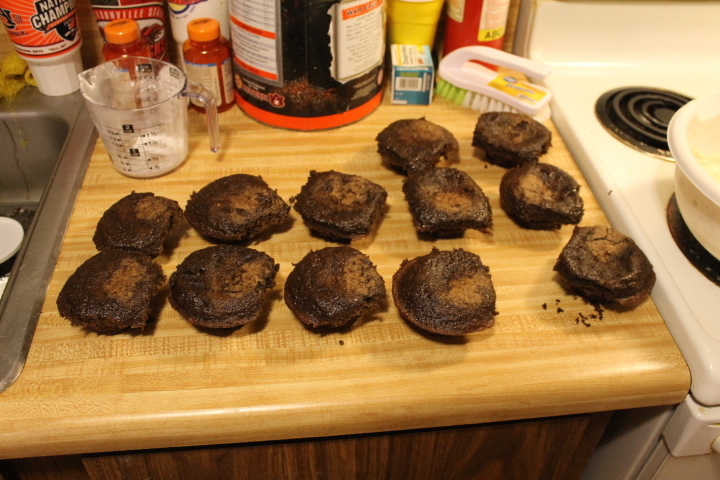 Pour batter into each muffin cup. 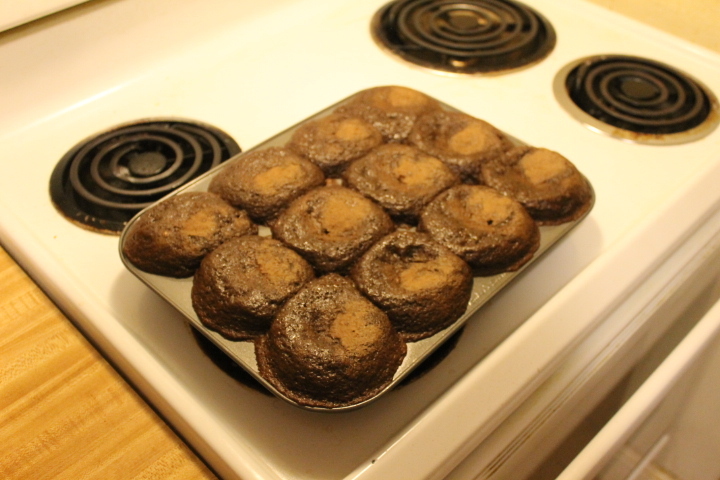 Do not fill all the way to the top as the muffins will rise! 3. Bake in a 350 degree oven for 15-17 minutes. 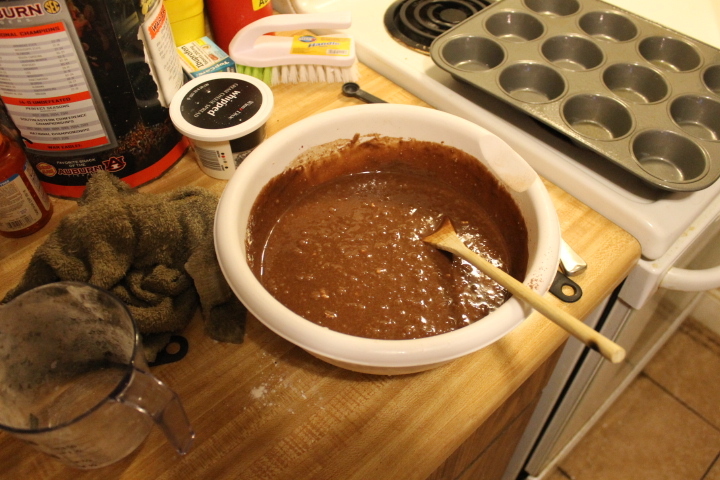 After baking is done, check middle with a toothpick to make sure it’s done. 4. Let cupcakes cool completely; then combine powdered sugar, cream cheese, vanilla extract, softened butter, and milk in a bowl and mix well. 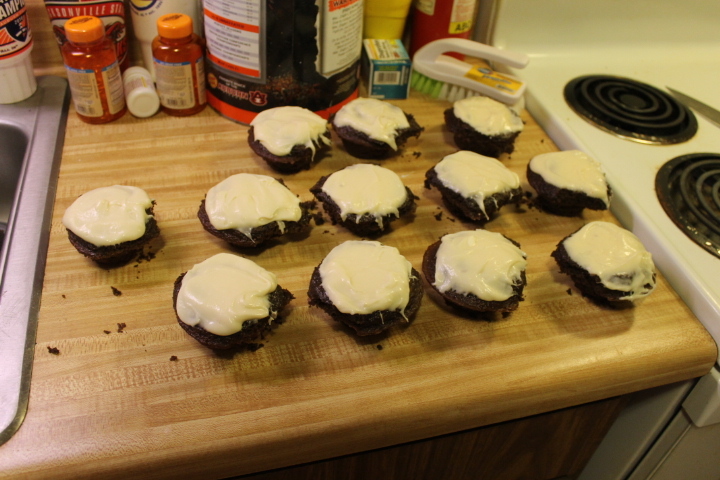 Top each cooled cupcake with frosting! 5. 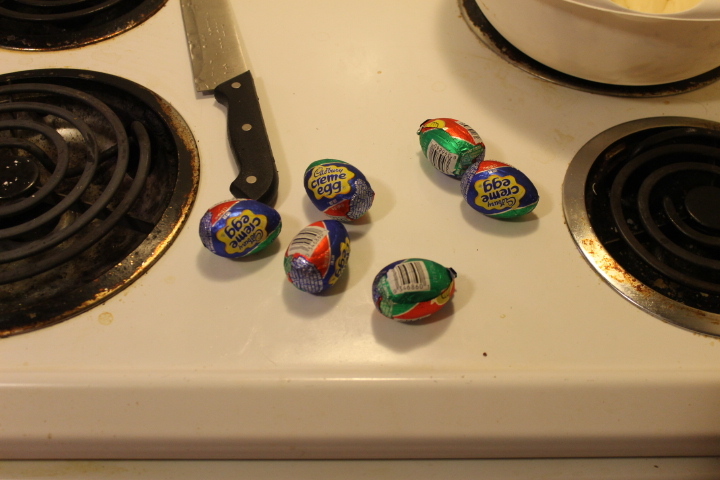 Take the six Cadbury Creme Eggs out of the freezer. Place the eggs in the freezer a couple of hours before you need them so they can harden. Cut each egg in half so you have two egg halves. 6. 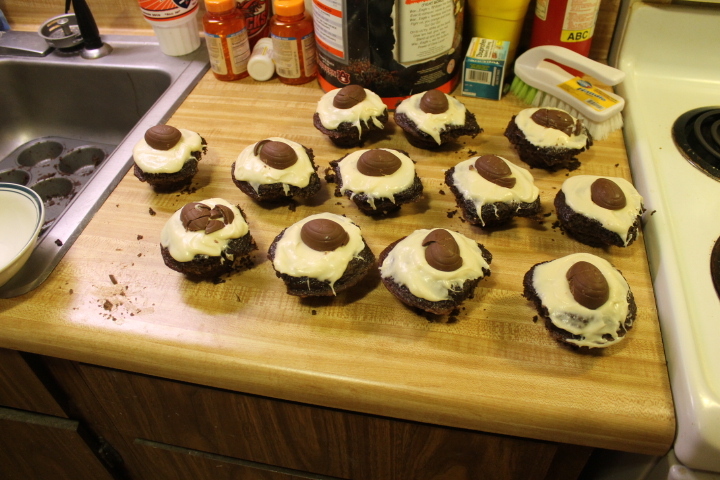 Place each egg half on top of each cupcake. 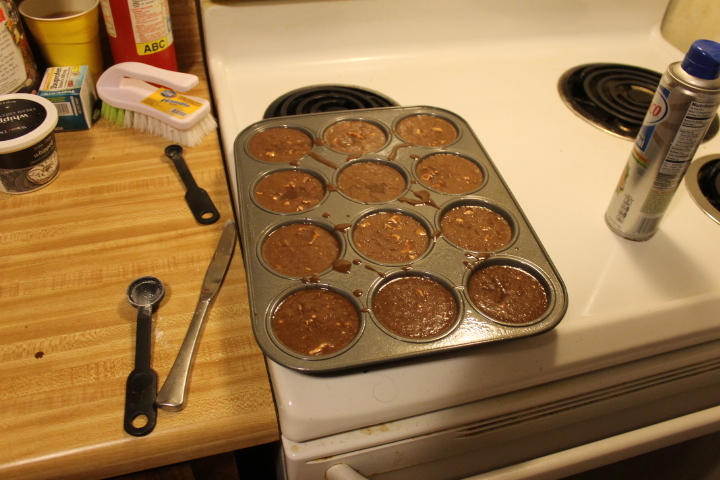 Place cupcakes in fridge to let firm. 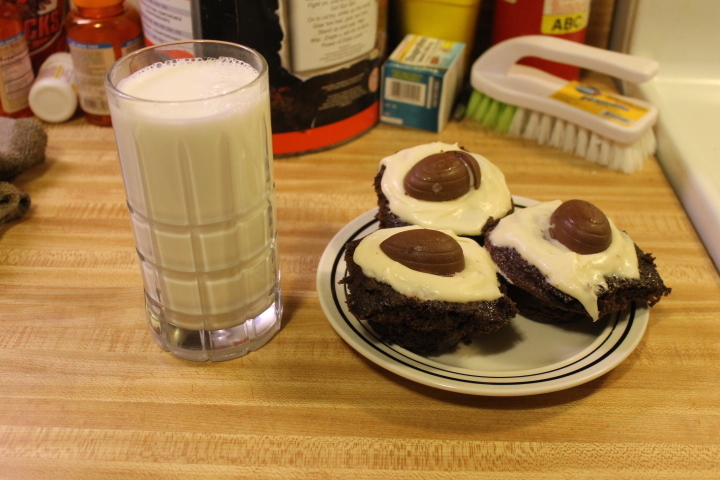 That’s it, enjoy this Easter treat, these were good!